Mike and I absolutely love hosting at our home, and our mantra is always, "the more the merrier!" We'll be at the bar with friends and plan an impromptu party for the next day to play corn hole or watch a game on tv. Always encouraging friends to bring more friends, we never really know how many people will show up. 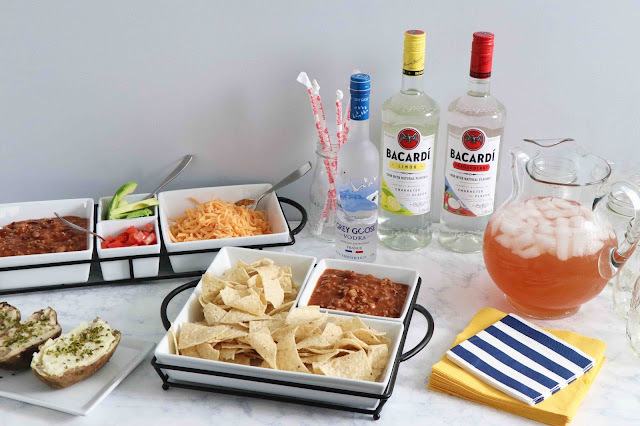 We make sure we always have tons of food on-hand, and what a better way to make game day entertaining easy and quick than with take-out?! Mike's absolute favorite for food fast has always been Wendy's. Not only do they have a great variety of food for a party but also a new line of signature drinks, only available at Wendy's. For our last-minute party, these drinks made the perfect mixer for Bacardi spirits. 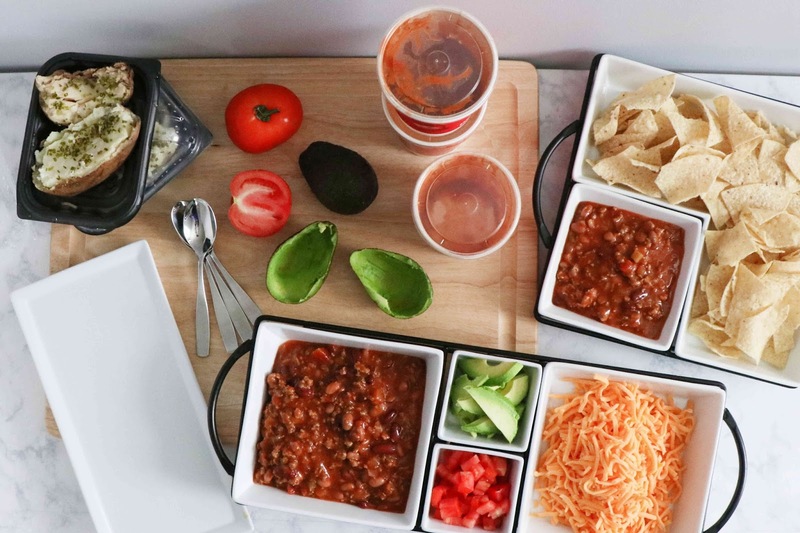 In addition to the mixed drinks, we also decided on a chili and baked potato bar. Putting together a "bar" is my favorite way to serve food for a party - it's so easy to do and honestly, it looks like you put in so much time and effort. Only you need to know the secret! Guests can fix their own plates and eat whenever they're feeling hungry. First, we set up our food station: slicing avocados and tomatoes, shredding cheese, and pouring Chili and chips into bowls. 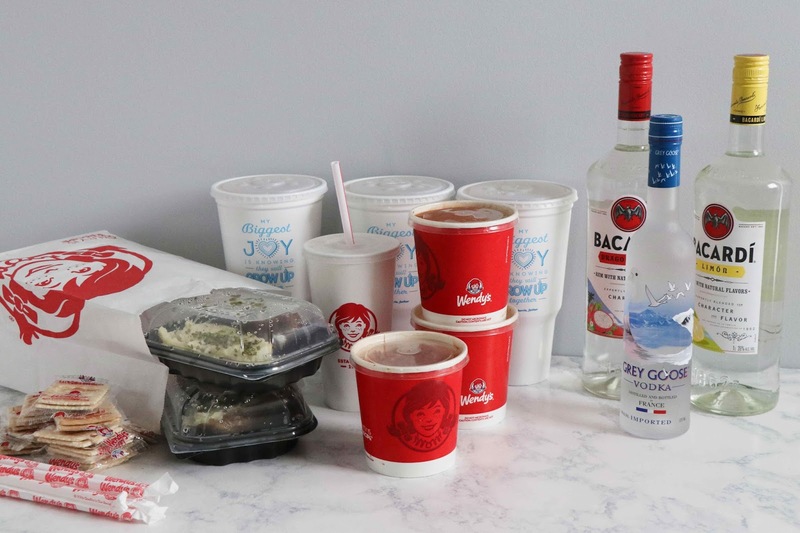 Next, we iced down our drinks. 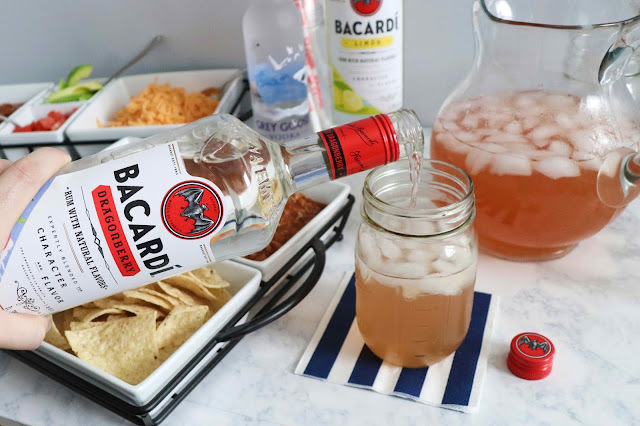 I poured the signature drinks in pitchers and set out the liquor for guests to choose their favorite - another way to make sure everyone is happy and can enjoy their favorite! Now, we're ready to party! 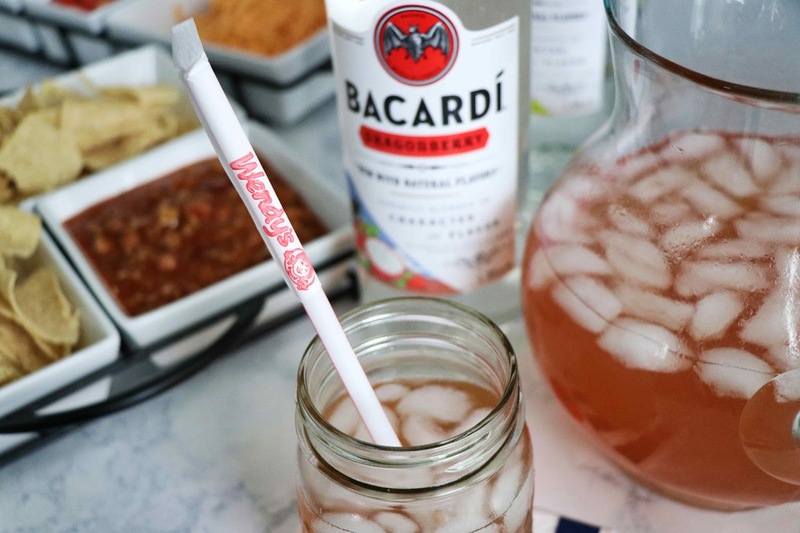 Pour a drink, starting with the Strawberry Passionfruit FruiTea Chillers®, hand shaken with freshly brewed, organic Honest ® Tropical Green Tea, real strawberry passion fruit flavored juice, and add in a splash of Bacardi. 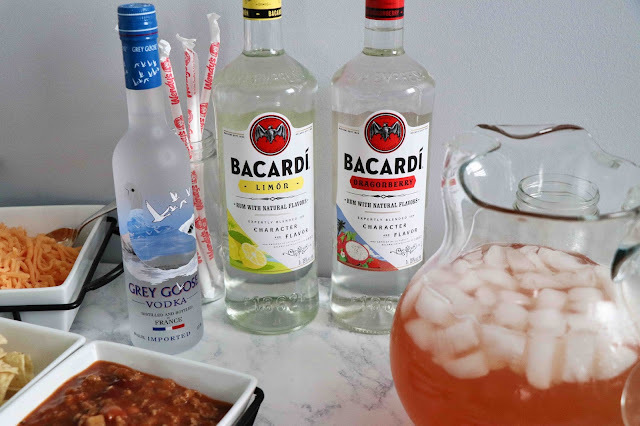 Rum Cocktails are among the ten most popular drinks. If rum isn't your guests' style, another great option to have on-hand is vodka, and Grey Goose Vodka is known as the world’s best tasting vodka! 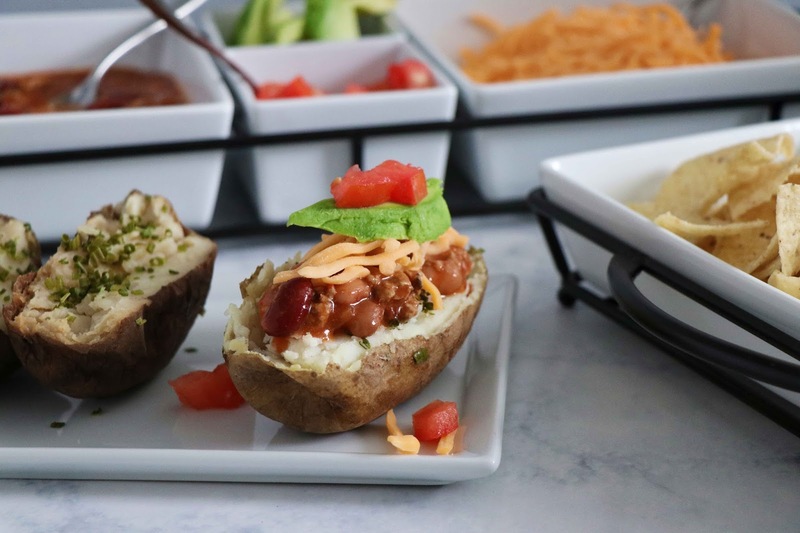 Load a Baked Potato with Chili and all the fresh toppings! Now you're ready to entertain friends! Isn't this the best type of party? Ready in 30 minutes, easy for the hostess, delicious, and self-serve. 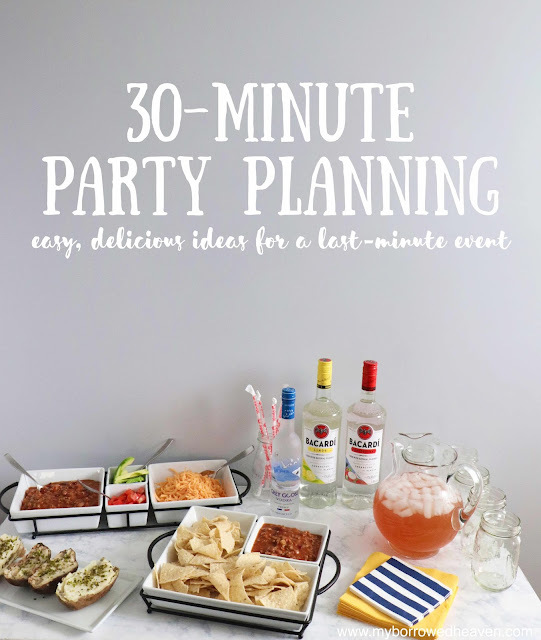 What's your favorite food or drink for a party? 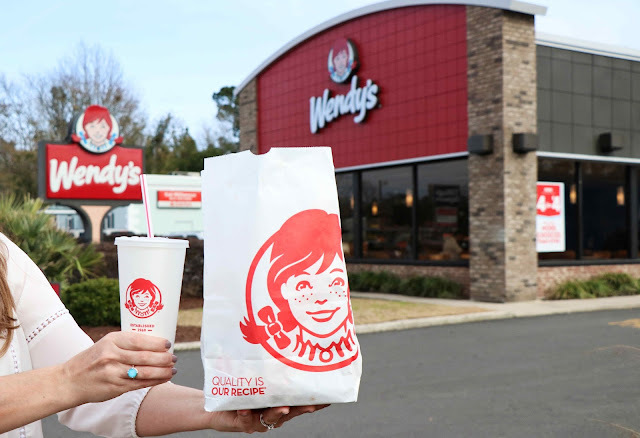 Did wendy's everywhere have the super bar, basically like a buffet? I wasn't sure if that was just a New Orleans thing or not. This is such a cute idea! How clever! They do have the best baked potatoes. Mmm! It all looks so great! 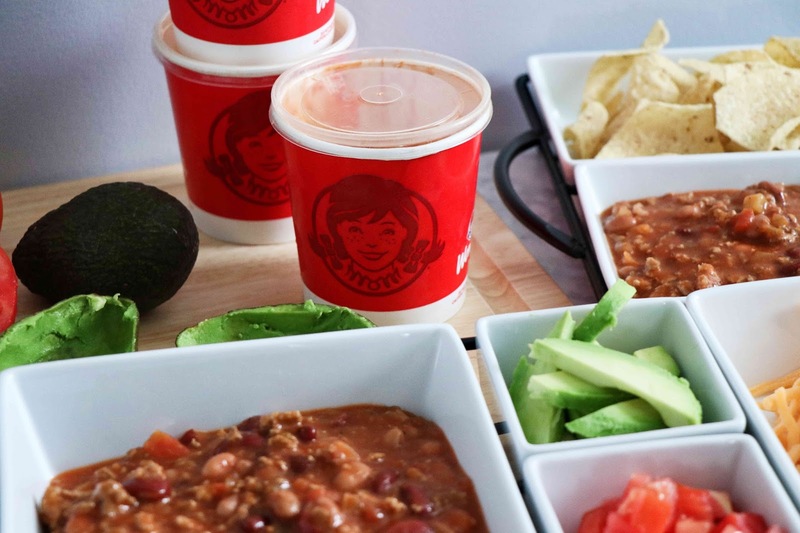 I like how you incorporated Wendy's! I love the presentation! Their baked potatoes are some of the best! Yum!